Taiwan has called on Chinese authorities to open its prisons for inspection by human rights groups and to disclose information on the number of Taiwanese detainees held in jails. 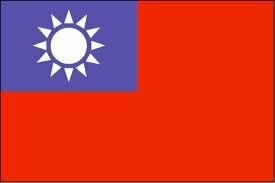 Taiwan lawmakers on Wednesday [2 May 2012] urged China to disclose how many of the island’s people are languishing in its jails, calling on Beijing to open up its prisons for inspection by human rights groups. “It’s still unclear how many Taiwanese are held in jails and detention centres in China, while incidents of human rights violations often surface,” said the four legislators, from both the ruling and opposition parties. “China should disclose information on Taiwanese inmates in its prisons and allow their families the right to visit during the investigation, trial and imprisonment,” the group said in a statement. The lawmakers urged Taiwan’s top negotiator Chiang Pin-kung to discuss the issue with his Chinese counterpart Chen Yunlin during their next round of routine talks, expected in Taiwan by the end of June . Beijing should also allow Chiang to visit Taiwanese inmates in China and open up its prison for inspection by local and international human rights groups, they added. Ties between Taiwan and China have warmed markedly since the island’s Beijing-friendly government took power in 2008.